Peachtree Publishing Company, 9781561459445, 32pp. 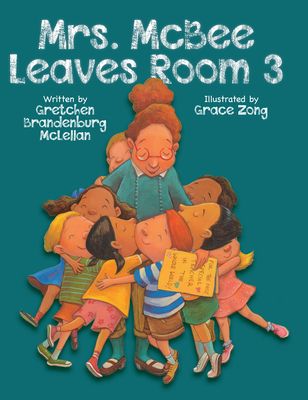 Join the children of Room 3 and Mrs. McBee as they find their own ways of helping each other get ready to leave and say good-bye. It's not just the end of the school year at Mayflower Elementary. It's time to say goodbye to Mrs. McBee, who is leaving the school. Jamaika, William, and the other kids in Room 3 have to figure out a special way to celebrate their beloved teacher. But everyone has a different idea. How can they arrive at an agreement? Gretchen Brandenburg McLellan brings readers an amusing and touching story about transitions and the importance of observing them. With Grace Zong's charming illustrations, the distinct cast of lively characters comes to life on the page.